Pictured above, left-right, are Ariane Cote, Dani Young, Karen Tytula, Joyce Rey and Tanya Yarmenko. In front is their mascot, Brie Cheese. 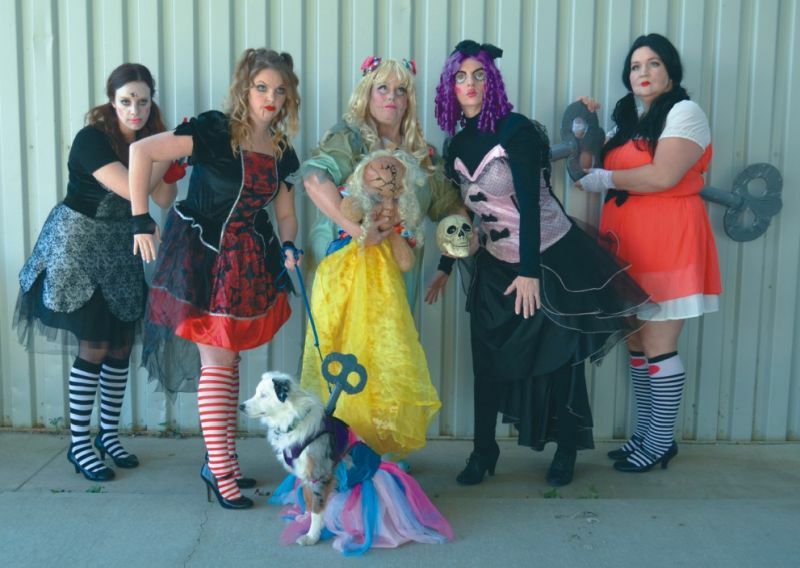 This group, which works in the Farm Credit Canada office in Falher, calls itself the ‘Dangerous Dolls’ and they decided to ‘wind up’ and get dressed on October 31 for Halloween. They were among many groups to celebrate the scariest day of the year. Look for more Halloween photos, including students at the four schools in the region, throughout this week’s Express.